Fey Promotional Products Group (which includes Mi Line by Fey) is proud to have achieved the status of QCA. We know we are involved in a global community and we understand there are many moving parts along the way but we want all of our customers to understand that doing business with Fey Promotional Products Group should be "Effortless" on your part. One of the ways to achieve this, is to provide you and your clients peace of mind regarding the products we produce and sell. All of us here at Fey work hard every single day to ensure all of our products are produced to very specific and exact specifications in order to provide you the and your customers the best value possible and the safest products possible, while at the same time removing the need to worry about compliance, social responsibility and environmental impact. Quality Certification Alliance is a Chicago, Illinois-based independent, accreditation organization whose mission is to elevate the standards by which industry firms that import and/or manufacture promotional products provide consistently safe, high-quality, socially compliant and environmentally conscientious merchandise. What is QCA Accreditation / Certification? QCA Accreditation is a process of comprehensive validation that confirms a promotional products supplier has processes in place intended to detect and deter any non-compliant product from entering the marketplace. The QCA Certification Process harmonizes the ever-increasing array of compliance tools, identifies the most rigorous standards, measures these standards, and continuously revises and updates the measures and methodology to reflect evolving concerns. QCA Accreditation / Certification is granted to companies who complete an independent third-party audit and comply with stringent standards, which are based upon a combination of state and national laws, international standards and industry-accepted best practices that are recognized for their strength and effectiveness by QCA Accredited companies, the promotional products industry and end-user clients. What is a QCA Certified Supplier? A QCA Certified Supplier is a company that has signed an agreement attesting that all merchandise manufactured for promotional purposes under its auspices complies with the QCAs Standards for Compliance, has provided self-assessments of its own facilities to the QCA Certification Program administration and maintains self-assessments of the facilities in which its work is contracted. Additionally, this company actively engages in developing and implementing corrective actions to continuously ensure all facilities are upholding compliance standards; and, most importantly, engages third-party auditors to validate self-assessments. A QCA Certified Supplier has successfully completed the QCA Accreditation Process, which includes third-party audits of its headquarters offices as well as multiple supply chain audits. QCA Certification lasts for two years and includes multiple random off-year audits to ensure the QCA Accredited Supplier continues not only to manage and improve its internal processes but also to effectively detect and deter unsafe or non-compliant product before it enters the supply chain. Only QCA Certified Suppliers in good standing may use the QCA Seal of Approval as well as QCA marketing materials. Providing safe and compliant promotional products is an essential component of doing business in todays hyper-competitive environment. Fortune 1000 clients expect safe and compliant product, and smaller businesses are also beginning to require the same assurances. QCA Accreditation increases buying confidence because it protects brand equity throughout the supply chain, from the promotional products supplier, through the distributor, to the end buyer and ultimately to the final end user. Companies with QCA Accreditation have a proactive comprehensive compliance program in place that protects the brand equity of the end user clients by addressing not only product safety and quality but also compliance with legislative, social and environmental requirements. Additionally, these standards also protect the reputation of the industry. When one company has an issue, it reflects poorly on the industry as a whole. QCA Accreditation eliminates the unnecessary risks of non-compliance and also establishes protocols in the event a recall is required. Are all the products from QCA Accredited Suppliers guaranteed to be 100% safe and compliant? No company can make such a claim especially at the low price points prevalent in the promotional products industry. For another example, just look at the prescription drug industry. These companies spend millions of dollars to ensure safety, and yet they still have product issues. What is certain, however, is that compliance is not a destination, it is a journey that our industry should be embracing. But the reality is that many promotional products companies are avoiding compliance, oftentimes due to misconceptions about costs and/or the severity of the ramifications of noncompliance. QCA Applicants and Accredited Suppliers like Fey Promotional Products Group have invested resources and years of effort into their compliance programs and are significantly better at compliance than most, if not all, of the industry. The question should not be, Are QCA Accredited Suppliers perfect? Rather, the questions should be, Why arent other companies developing these types of compliance programs to protect their customers brand, and why they spending time fighting the requirements instead of working to meet them? The International Standards Organization (ISO) provides standards for everything from quality monitoring systems and environmental practices to container seals and auditor training. The ISO then licenses companies and individuals to teach these processes through consultation. World Responsible Apparel Production (WRAP) is a factory level certification that was initially focused exclusively on social responsibility, but the program has been expanded to include sustainable manufacture. QCA accepts WRAP certification in lieu of the social accountability component of the QCA Accreditation Program because WRAP includes a focus on capacity building. The Fair Labor Association (FLA) tends to be more prevalent in the collegiate licensing market space, and this certification is exclusively limited to social responsibility. At this time, QCA does not accept FLA accreditation. While these certification programs are valid, they are designed to address a specific need. 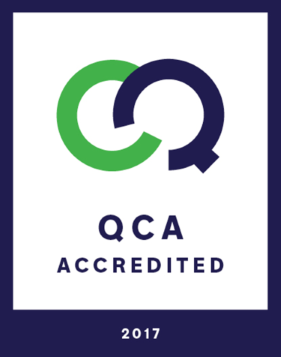 QCA Accreditation is a comprehensive program that covers product safety, product quality, supply chain security, social accountability and environmental stewardshipall the areas in which end buyers and end users expect compliance and safety. How can products from QCA Certified Suppliers be found? Product search engines from Buttonwood Technology Group, SAGE Quick Technologies and ESP each contain a search parameter that includes QCA Certified Suppliers. Select this option as one of the search criteria for products from those companies to appear. What are the QCA Distributor Advocacy Group and Distributor Advocacy Council? The QCA Distributor Advocacy Group was created in July 2010 to formalize the relationship the organization has with distributors who understand the value compliance programs have in building stronger relationships with suppliers, creating competitive advantage in the marketplace and building loyalty with their end-buyer clients.